Constant change being a reality common to everybody's existence, the concept of flux or flow was adopted as the organising theme for the commissioned compositions. It was left up to each composer to respond musically to the idea. By happy circumstance it has turned out that taken together the five compositions more or less follow the pattern of the water cycle, that circular flow so essential to all human life. Works by Jia Daqun, Martin Lodge, Michael Daugherty, Michael F. Williams and Param Vir. 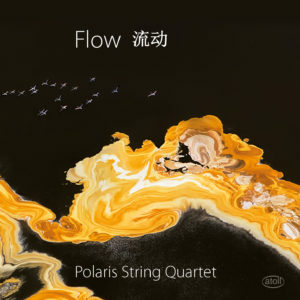 Performed by the Polaris String Quartet.